So you are a huge fan of swinging on the waves of the ocean and you have also got a paddle board but the only problem is, you don’t really know where to make your way to? Read on as we offer you the 8 best places in the world to paddle board. As we all know, Hawaii is the surfers’ dream place to mount the ocean waves, so it is no wonder that the islands are also a paddle boarding’s paradise. The best spot in particular is Oahu – the biggest one of the Hawaiian Islands. Sunset beach on the north shore of Oahu is known for its big wave winter surfing, but you go there in the summer and you will find it is calm enough to even visit Waimea Bay on your paddle board. And if you are not into intense experiences, there is also Puaena Point at Hale’iwa Beach Park (Waimea Bay) – a very flat area with very few waves so you can paddle all day long without getting tired of it. This is definitely the best place to go paddle boarding in the north of California. The waters are fairly calm but you may have to share the spot with surfers, sea lions and, if you are lucky enough, you might even see a whale! The Santa Cruz Harbor is a bit calmer and it also offers a wide range of boards, lessons and guides in case you are a beginner. But consider wearing a swimsuit because the water is a bit cool. Let’s get real, who doesn’t want to go to Bali? 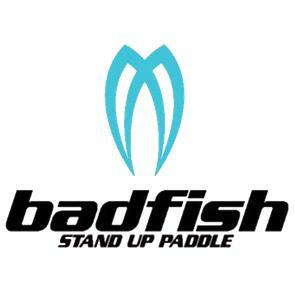 The true heaven of paddle boarding, Bali is a great year-round choice! The perfect spots to go paddle boarding are Medewi and Balian, which are calm and quiet beaches in the north. They are less crowded and offer even, glassy waters, suitable both for beginners and advanced. You can also dive to interleave and avail yourself of staying in Bali. 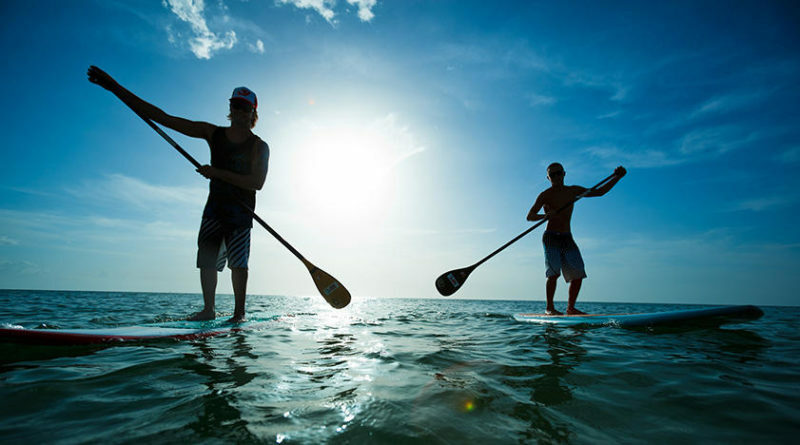 Lovers of the endless opportunities, welcome to the nirvana of paddle boarding – the Bahamas! Its shoreline lays at your feet (or board) 120 miles of marine playground with nearly 700 islands, crystal waters and dazzling reefs for you to enjoy while paddling. Some of the best places to go are Abacos, Nassau and Exuma – be sure you won’t be bored while paddling in company with sea turtles and a bunch of multicolored fish! One of the eight best places in the world to paddle board is Puerto Vallarta – it is well known for its warm and mild waters, the rather long span of sand along the beaches, and the mobs of dolphins, sea turtles and humpback whales. Moreover, Los Muertos Beach offers a variety of lessons and experts to help you, and also paddle rentals. So, you won’t regret going there – it is a famous spot and you can meet a lot of skilled paddle boarders to share your experience and fun time with. Don’t forget to try the local cuisine, as well! Jumping over to Europe, we get to know Lisbon – Europe’s paddle boarding capital. The coastline is situated 31 miles south of the city and at the foot of Arrabida Hills, and offers such sheer waters that you can see up to 70 feet under water. The spot is named Luiz Saldanha Marine Park and provides a variety of waters to paddle in amongst bottlenose dolphins. Smooth sandy beaches then can be a nice bunk if you want to take a break. Spectacular scenery and a wide range of waves are awaiting you in Cape Town. It is not as popular, but it’s on the way to be a splendid destination. Besides the ocean surf, there are canals of flat water for paddling. The best areas though are Sunset Beach and Blouberg in the north, and Muizenberg and Strand in the south of Cape. To begin with, you don’t need special documents to go visit this unique paddle boarding place. It offers excellent options at the Condado Lagoon in the city of San Juan: extremely flat water, low winds and mangrove forests around the lagoon. It’s an ideal spot for beginners, but also for those who enjoy paddling around magnificent nature and under beautiful sunsets.